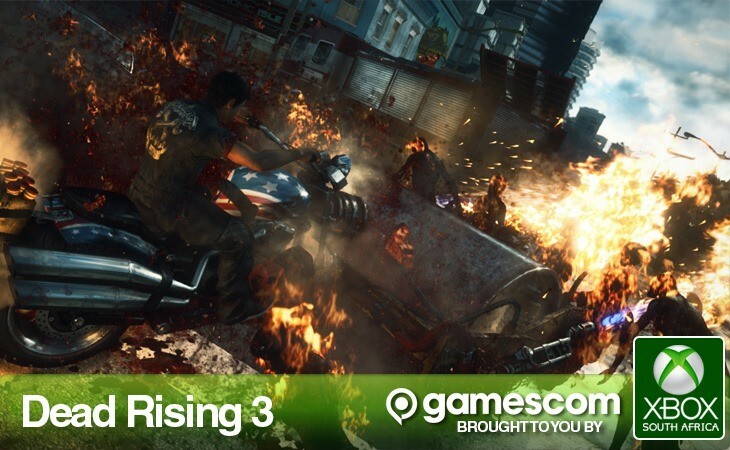 Dead Rising’s has, since it was shown at Microsoft’s E3 press conference, been the game that’s made me want an Xbox One. I’ve now had the chance to actually play it – and I’m happy to say that it still the thing that’ll get me to shell out for the console. It still, like it was at E3, has a bit of a sluggish frame-rate and some nasty screen-tearing, but producer Mike Jones assured me that when the games launches alongside the Xbox one it’ll run at a much less headache-inducing solid 30 fps. It’s still, he says, a pretty early build. Why then, am I so excited for game that as it stands right now, is hardly a poster child for the next-generation? Because it’s still the same crazy, irreverent and completely madcap nonsense that Dead Rising’s ever been – just with many, many, many more of those undead things on screen. The sandbox demo I played took place at night, when the zombies are at their most ferocious, and it all takes on the tone of a more serious horror; atmospheric thanks to the incredible lighting and deliciously gory effects. I got to tinker a bit with the game’s robust crafting mechanic; combining a shock-stick with a blunt instrument to produce a mighty electrical hammer, or blending the same stick with some gems to create a lightsword – not a lightsaber for obvious legal reasons – but a lightsword, complete with the sound effects you’d expect. What got me most excited though, is the new vehicle crafting; which allows you to combine two vehicles to make an ultimately sillier and more violently menacing one. I created a multi-wheeled instrument of zombie torture by combining a steamroller with a motorcycle, to create some sort of flame-spewing, zombie-mulching hybrid death machine. It was, frankly… glorious. Driving that thing around, turning thousands of zombies into mincemeat or bits of well-done steak. Dead Rising 3, despite grim appearances, has its offbeat humour very much intact. It’s made all the more engrossing thanks to the next-gen tech that powers it; with thousands of the brain-hungry bastards on screen pretty much all the time you’re never out of playthings to annihilate with just about everything else on screen.